"These are the albums for those quiet days and silent nights when the raw feelings of the human experience must be voiced." The sun climbs above the clouds without making a sound. There’s a loudness to its quiet arrival, its mighty presence, its golden silence. Consider the sun a metaphor for how noise isn’t synonymous with power, but the biggest, most visible representation of the beauty and strength to be discovered in what is silent. 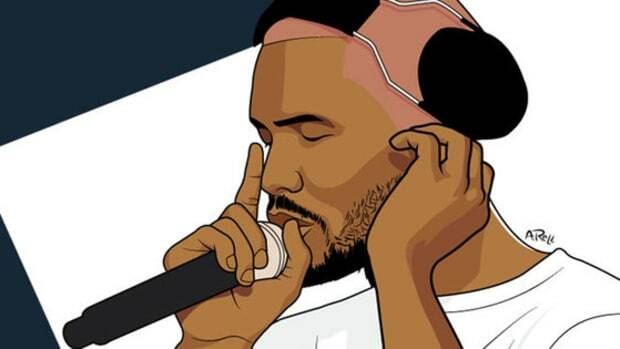 Blonde, Frank Ocean’s magnificent sophomore album, is musically hushed. He sings of love and life beneath a bed of music lacking in bombastic personality. It’s a project stripped to the bone marrow, skeletal, as thin as Bow Wow’s tolerance for cell phones recording him in the club. The lack of dynamic drums was one of, if not the most consistent critiques to follow the 2016 release. There have been a few remixes to rectify the quietness—most notably the six songs producer !llmind added drums to—but the revamped versions affect the album’s intimacy. It’s within the quiet that Blonde becomes loud, visceral, digging beneath the skin of whoever hears it. 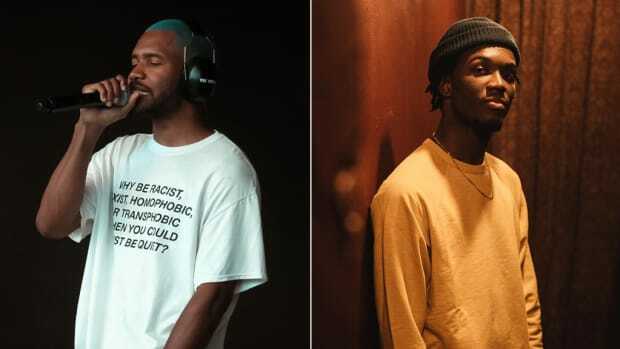 There’s no running from the pain, or the pleasure, or the transparent honesty—Frank Ocean provides no escape for comfort or solace. 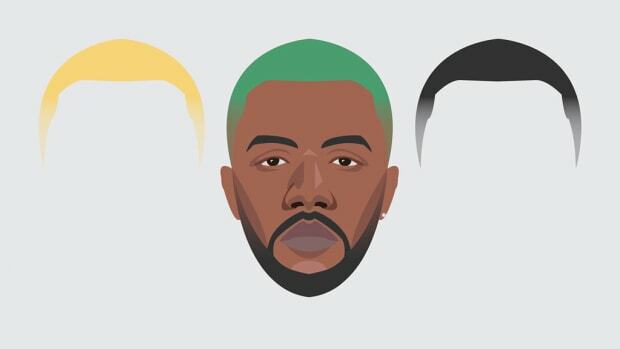 Frank, much like the sun, makes his presence the revolving center of the album’s universe. Often, albums are presented as audio movies, with the artist’s voice as the lead and the music and features playing in the background as costars. Not Blonde. Frank’s latest album plays like a book of poetry recorded in a library of memories. The pages are flipped through, the words felt. When he testifies on “Seigfried” about his lack of bravery, the words are so raw with truth it’s impossible not to shudder underneath his unwavering conviction. The same feeling is summoned from “Self Control,” a confessional that aches with the acceptance that love can be a cycle of hardships and broken sovereignty. In both cases, the music sits in the background as added ambiance, too lucid to feel physical but solid enough to maintain a presence. I can understand a desire for drums. It’s a critique rooted in taste, but with Frank, less means more. 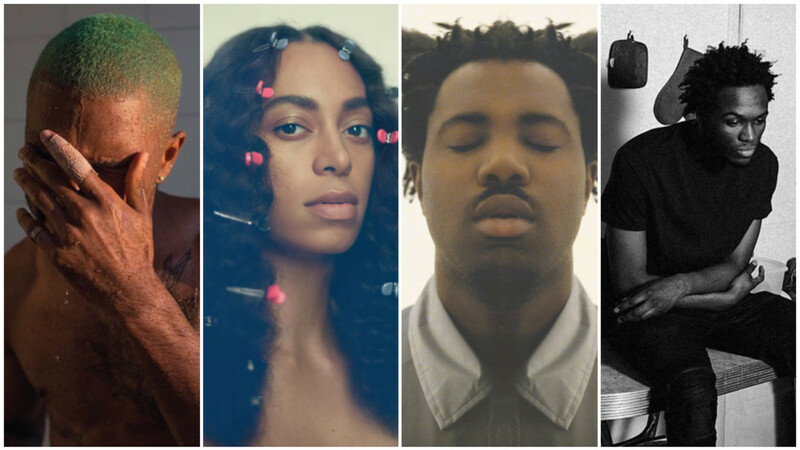 Sampha’s 2017 debut, Process, and Solange’s critically acclaimed 2016 album, A Seat at the Table, both accomplished a Blonde-esque intimacy by finding the magic in music that’s stripped of excess skin, baring only the guts and heartbeat. The piano-driven “(No One Knows Me) Like the Piano” is an exquisite example of how Sampha’s voice exudes emotion the way Barack Obama exudes charisma. Sampha&apos;s performances are lyrically striking, with every word cutting through the air like an arrow shot from Robin Hood’s bow, but the simplistic keys that surround him add a layer of beauty that could easily be disrupted if overproduced. In contrast, Solange’s GRAMMY-winning single “Cranes in the Sky” is so nimble and tender a gust of wind could carry it away, but that’s the power of her unbound openness. Soul-touching music. Minimalism. The charm of less. 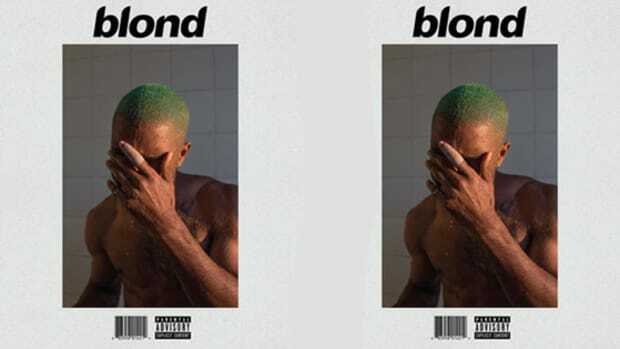 Cherry-pick across those two albums and, much like with Blonde, you’ll land on songs constructed with little overt musical punch, but capable of making you melt. 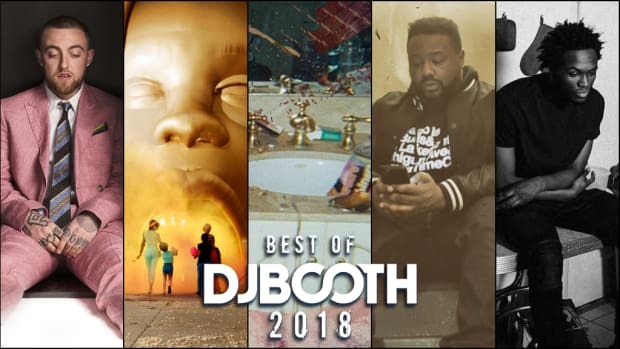 The influence of hard drums in hip-hop and popular music by the likes of Metro Boomin, Mike WiLL Made-It, Tay Keith, Lex Luger, Southside, and many others has cemented weighty 808s in the zeitgeist of modern music. Yet it’s a pleasant setting when albums are built with less flair and more feeling. Look no further than the immensely talented Moses Sumney and his 2017 gem, Aromanticism. His lyrics are mesmerizing; poetic musing from the center of his chest cavity. Moses&apos; voice is a treat, hauntingly thick with sentimentality while sweet as syrup. The music that encapsulates the songs is light as a mattress of feathers creating an atmosphere that’s otherworldly. Aromanticism is an album that doesn’t sound of this solar system. It sounds from a year far in the future, and that’s what makes Moses exciting, an artist who is completely uncompromising with his vision of what he wants to make. It’s arresting and beautifully candid, intense stories within quieter soundscapes, but the kind of music that requires a mood desiring to be enveloped in emotions. But like the desire of silence, it’s perfect when sought after. There’s something to be said about quieter music and how it lives in a personal space. Music often feels public—the swing of drums, the bounce of rhythm sections, the catchiness of melodies; there are so many different ways music is created to inspire dancing and singing along in the company of others. But there are times when what’s needed most is the intimacy of self, to be lost in thoughts unspoken. J. Cole’s 4 Your Eyez Only comes to mind, an album that leans into the elegance of jazz rather than the knock of the trap. 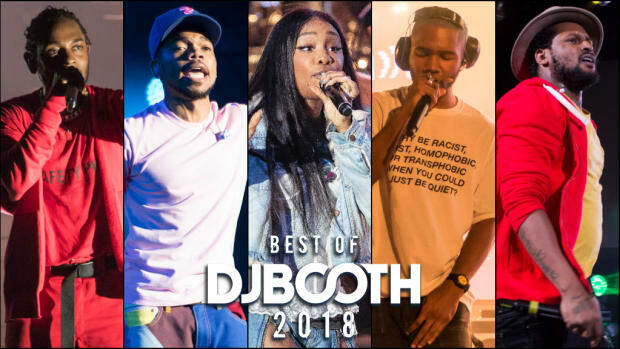 It’s the complete opposite of KOD, the most "of the moment" body of work J. Cole has ever created. 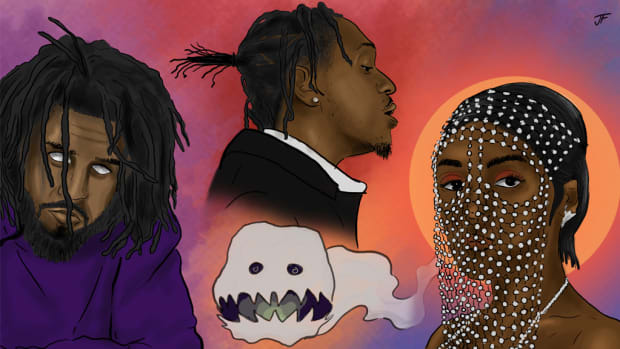 For some artists, it’s more difficult to be compelling if the storytelling isn&apos;t piercing or if the backing of live instrumentation is missing. Unlike Cole, Chicago native Saba dug deep for the release of CARE FOR ME, the most poignant opus of 2018. CARE FOR ME is simply one of the best albums I’ve heard this year, but I’m unlikely to play it in public spaces. The content is so private it would feel unjust to share such a personal album when the aux is passed. 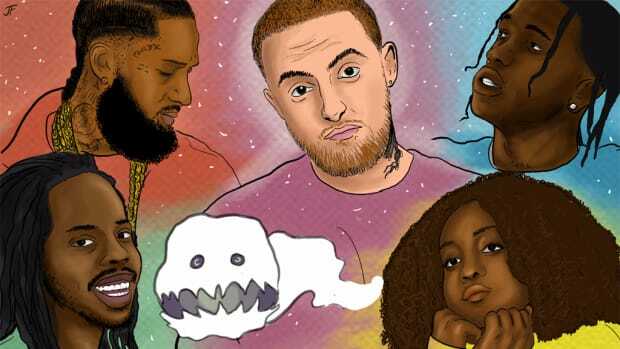 Over 10 tracks, the Pivot Gang MC harnesses the most beautiful shades of grey to express coming of age and coming to terms with the passing of his cousin, Walter Long Jr. The only song that fits the modern rap aesthetic is “LIFE,” a rare record that doesn’t completely represent how musicality is used to convey the various emotions Saba is battling. There&apos;s no sugarcoating, either. He has a clarity to his truthfulness that&apos;s uncomfortable yet relatable. The album’s climax, “PROM / KING,” is seven minutes long, but it’s impossible to step away from the flawless storytelling once the song begins. Saba’s intensity is matched by the rolling keys and slamming drums; it’s a physical grip that’s only possible when the artist, the songwriting, and music all reach a super synergy. The first time I pressed play on CARE FOR ME was during a car ride. Before getting through “BUSY / SIRENS,” I had to stop it. Within in the first 30 seconds, there was a notable weight to the music. I waited until I got home, threw on a pair of headphones, and got lost in the deeply thoughtful album. It’s stunning, a birds-eye view into the heart of one of Chicago’s most promising talents. Sadly, his heart is heavy, and each song reflects this reality. If Chance The Rapper’s Coloring Book was a visit to Disney World, Saba’s CARE FOR ME is sitting in an empty bedroom staring at a broken mirror. Broken happens to be the phase before becoming whole again. Saba, much like Frank, Sampha, Solange, and others, found his purest voice while reflecting on life in a place where our most difficult thoughts dwell. Life is loud. Silence is constantly broken. But there’s a time, a place, and a need to allow the quiet to be present. These are the albums for those quiet days and silent nights when the raw feelings of the human experience must be voiced. In the silence is where the whispers of lyrics are often felt as if they were said the loudest.